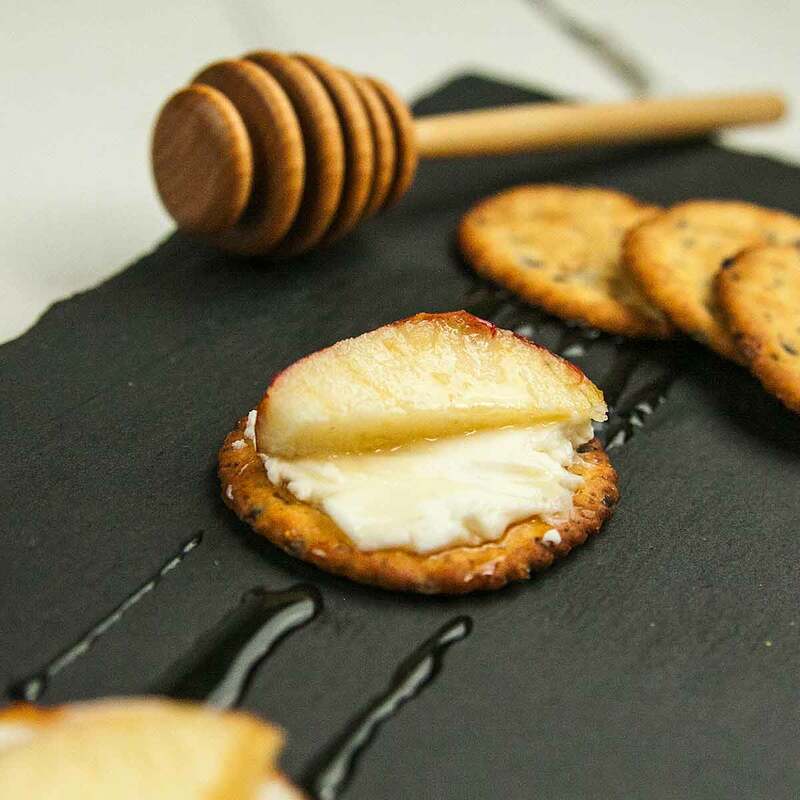 Use your favorite gluten-free crackers to make this simple, quick appetizer. Recipe and photo courtesy of SweeTango. Place gluten-free crackers on an platter and spread the creamy swiss cheese onto each cracker. Top with a SweeTango apple slice and drizzle honey on top to taste.